Inspection and cleaning services for fireplaces, chimneys and dryer vents; renovations, installation of mantel and fireplace accessories, fireplace gas line repair or installation. Masonry and brick repair and restoration, solutions for leak issues. Chimney Solutions provides cleaning and inspection of chimneys, fireplaces and dryer vents. They also offer a range of renovations and repairs for fireplaces. The company has been owned and operated by the same family since 1997. 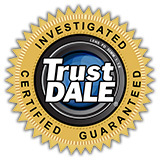 Their technicians are CSIA certified, background checked, and drug free. No job is too small or big! You can hire a "jackleg" contractor to clean your chimney for cheap, but it's not worth the risk. Chimney Solutions only sends true professionals to your home, who listen to your needs, and give you an educated diagnosis of your chimney before you are charged; they do require a nominal service call fee that varies according to drive distance. What's more, Chimney Solutions offers up-front chimney inspection quotes. Chimney Solutions provides maximum value because: In addition to being background checked and drug free, technicians are all CSIA (Chimney Safety Institute of America) trained and certified. This company has staying power; having been under consistent ownership and management for nearly 15 years. Your safety is their priority. They invest in continuing education to ensure they are properly equipped to deliver you an educated diagnosis of your chimney and its condition. They represent and install quality products. Chimney Solutions is dedicated to providing top-notch customer service and the highest quality products available to all of their customers. Their record of repeat customers and their referrals are a testament to their approach to your service. They provide a no mess guarantee, and truly stand behind their work and craftsmanship. No matter what your chimney or fireplace needs, they have the experts to handle it. Products & Services: Inspection and cleaning services for fireplaces, chimneys and dryer vents; renovations, installation of mantel and fireplace accessories, fireplace gas line repair or installation. Masonry and brick repair and restoration, solutions for leak issues.